LIMA — Since the 1950s, telemedicine services has allowed patients to communicate with doctors and receive medication without leaving their homes. While some medical professionals believe the service is convenient, others think it could be a hindrance. Within the last couple of years, telemedicine services like NURX, HeyDoctor and PlushCare have changed the way patients receive medical care. Instead of waiting at the doctor’s office, patients can now schedule video chats with their doctor and get their medication prescribed through a laptop or mobile device. Dr. Edward Levine, medical director of the virtual health program at The Ohio State University Wexner Medical Center, began his journey with telemedicine in 1995. Since then, Levine has used telemedicine services to prescribe medication and communicate with inmates in institutions within the Ohio Department of Rehabilitation and Correction. The inmates go the nursing station located in the prison where they would Skype with Levine, and he would write a prescription based on their symptoms. The Ohio State University Wexner Medical Center currently provides telemedicine care for about 1,400 to 1,500 prisoners a year. Prisoners are not the only patients to whom the medical center provides this type of care. The medical center offers various other telemedicine services for gastroenterology, transplant and cancer patients through its virtual health department. In 2015 NURX, a telemedicine service that specializes in birth control and PrEP HIV prevention medication, launched as a way to make birth control more accessible and more convenient. The first step to obtaining birth control on NURX is to fill out a medical history form that includes a patient’s age, weight, blood pressure, whether they smoke, and other prescriptions being used. The patient is also asked to verify their identity by uploading a selfie and form of identification. Once the information is submitted, a state-certified medical doctor or nurse practitioner will review it to determine whether the medication is appropriate for the patient. NURX covers patients in 20 states. If approved, patients could choose from over 50 birth control brands for the pill and NuvaRing and the patch. Birth control is either free or the cost of a copay for insured patients. 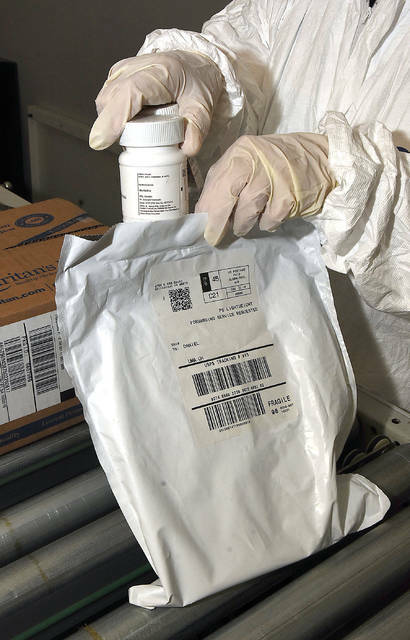 Once the medication has been purchased, it will be sent to the patient’s home address. If the patient has any further medical questions, they can reach out to the doctor or nurse practitioner through a messenger. There’s no standard delivery time, but once the medication needs to be refilled, patients can utilize on-demand options to refill the prescription. Patients who are looking to get PrEP can also use a provided home test kit where they can take all the results from home through a prick on the finger, which helps the doctor determine if they are a viable patient. Because most doctors are not trained on how to care for patients through telemedicine, Levine said at Ohio State University they are working on a training for medical students to familiarize them with that practice. They also train their interns, residents and fellows on telemedicine. Levine also said that some telemedicine services will be provided at Mercy Health- St. Rita’s Medical Center and Lima Memorial Health Systems. Ultimately Levine believes that telemedicine will help decrease emergency room utilization and will make doctor visits more convenient for patients. Kyle Miller, pharmacy supervisor of Mercy Health-St. Rita’s Medical Center Outpatient Pharmacy, believes that telemedicine services that utilize mail order prescriptions could be a hindrance to local pharmacies. The FDA shows that only 3 percent of the online pharmacies they reviewed were legitimate and abide by standard pharmacy practices and laws, said Miller. Miller said that mail-ordered prescriptions like Express Scripts are typically legitimate. Over the last 10 years, Miller said, pharmacy jobs have been cut to combat increasing costs, but he also believes that electronic prescriptions also contributes to the lack of jobs. “[Mail-ordered prescriptions] have been and will be responsible for fewer jobs in the community because there will not be as many prescriptions like there were before mail order,” said Miller. Miller suggest that patients verify the legitimacy of the pharmacies by going to pharmacy.ohio.gov. “They would have to have a license in that patient’s state in order to be legitimate and abide by the laws associated with obtaining FDA-approved and reliable medication and dispensing,” said Miller. Levine admits that there are limitations with telemedicine, but trained doctors know that the service cannot be used in all situations.